عندما تزور إنفيرسارجيل, ستشعر أنك في بيتك في Bella Vista Motel Invercargill الذي يقدم لك إقامة متميزة و خدمات عظيمة. يجذب هذا الفندق ذو 4 نجوم، والذي يبعد 1.5 km فقط عن وسط المدينة و 4 km عن المطار، الكثير من الزوار سنوياً. كما يمكن الوصول بسهولة إلى ‪Invercargill Water Tower‬, ‪South African War Memorial‬, ‪First Presbyterian Church‬. 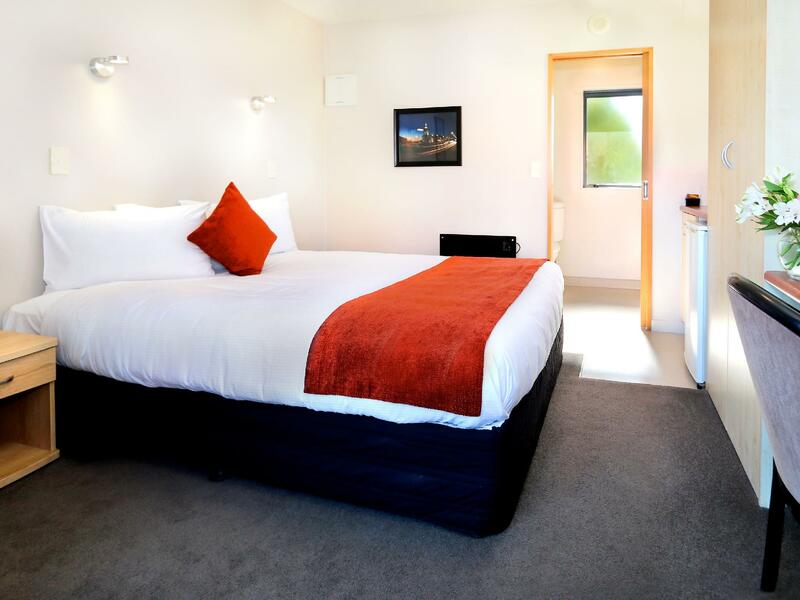 يعرف Bella Vista Accommodation بالمستوى الراقي لخدماته ولباقة موظفيه، وهذا ما ستجده في Bella Vista Motel Invercargill. يمكن للنزلاء الاستمتاع بالميزات التالية: واي فاي مجاني في جميع الغرف, مرافق مخصصة لذوي الاحتياجات الخاصة, تخزين الأمتعة, واي فاي في المناطق العامة, صف السيارات أثناء إقامتهم في هذا المكان الرائع. ادخل إلى واحدة من الغرف 18 وتخلص من عناء نهار طويل بمساعدة مجموعة كبيرة من الخدمات كمثل تلفزيون بشاشة مسطحة, اتصال لاسلكي بالإنترنت, اتصال لاسلكي بشبكة الإنترنت (مجاني), حوض الاسترخاء, غرف لغير المدخنين الموجودة في بعض الغرف. كما أن مجموعة الخدمات الواسعة الموجودة في الفندق لضمان راحتك تترك لك الكثير من الخيارات لقضاء وقتك أثناء فترة إقامتك. 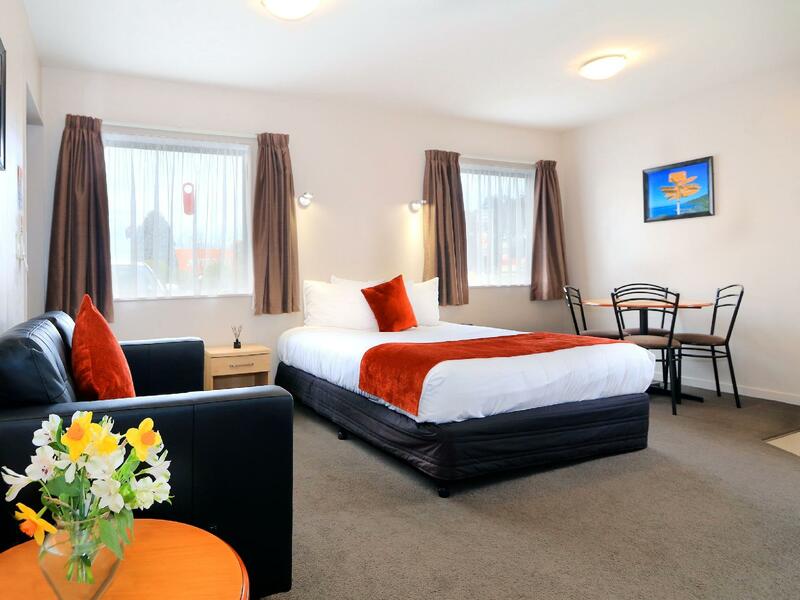 استمتع بخدمات لا يعلى عليها وعنوان ذو اعتبار في Bella Vista Motel Invercargill . Lovely clean and tidy unit for our family (2 adults, 2 kids). Great location. Would happily stay again. Welled location facility providing all required for a one night stay. Excellent shower pressure. Beware of the rating system if you're American. This is a "4" star but is like a 3 star in the US. So far, nicest chain hotel we've stayed at in NZ. Friendly staff. Amazing shower. Very tidy room. Close to town. Ultra friendly and helpful owners. Super comfy beds and lavish cookies - so seldom these days in motels - just perfect with a cup of tea after a long drive. On site laundry and free parking. Why stay anywhere else...? Fabulous location, great staff...stayed the night on the way to Bluff Oyster Festival. A great place for an overnight stay. Warm, friendly staff. This motel has everything you need for an overnight stay. It was warm, comfortable and very clean. The. Staff were welcoming and helpful. Reception staff very welcoming and gave lots of asked for advice on places to go. Room very well furnished and equipped - very comfy bed. room comfort. Staff friendliness. Location. A very enjoyable stay. Comfortable room and friendly staff. Room was small but clean and well appointed with appliances. Friendly and helpful staff. Good laundry facilities. Not too far from city. I would rate this hotel 3 star based on overall facilities and general condition. As a visitor on a brief business trip this motel was ideal- good location, very tidy little room and the staff were fantastic! Will stay here again on future visits. Friendly, very clean and comfortable. Great location. Great place to stay. Would certainly stay there again and would recommend to others.